The 32nd match of the Indian Premier League (IPL) 2019 will see Kings XI Punjab (KXIP) taking on Rajasthan Royals (RR) on April 16. Not many would have thought that the hype in KXIP vs RR return fixture in this IPL would be so enormous. With what happened between RR’s Jos Buttler and KXIP’s skipper Ravichandran Ashwin, the contest has become all the more exciting. KXIP vs RR, IPL 2019 Match 32 Preview: Rajasthan Royals Seek Revenge Against Kings XI Punjab. In their previous meeting on March 25, it was KXIP who triggered a collapse after ‘Mankading’ in-form Jos Buttler. His dismissal pulled the plug on RR’s chances of chasing the target of 185, something which they were doing easily with Buttler on the crease. It will be delighting to see how the teams approach the game, given the bad blood they have between them. 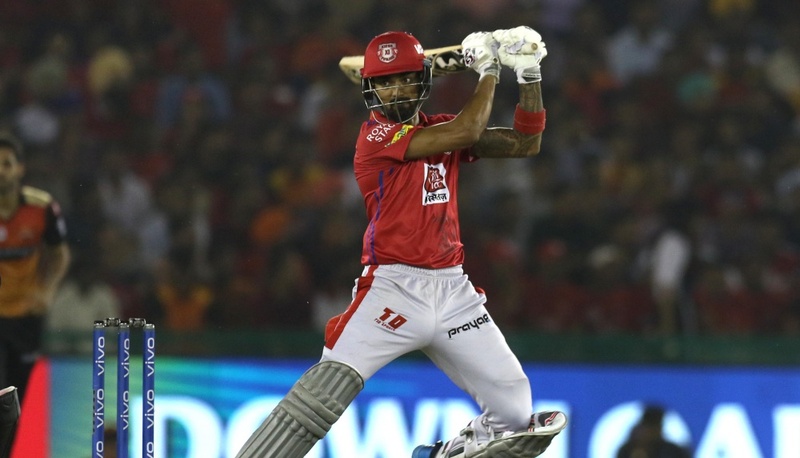 KXIP vs RR, Head-to-Head Record: Ahead of IPL 2019 Clash, Here Are Match Results of Last 5 Kings XI Punjab vs Rajasthan Royals Encounters! 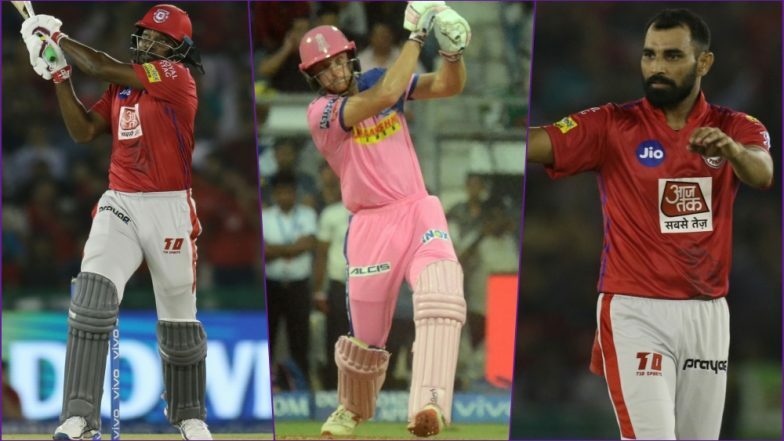 With little time left for the game to begin, we at LatestLY, bring you a list of key players to watch out for in KXIP vs RR, 32nd IPL 2019 match. The six-hitting machine has finally found his groove and has now become the third-highest run-scorer in this IPL season. 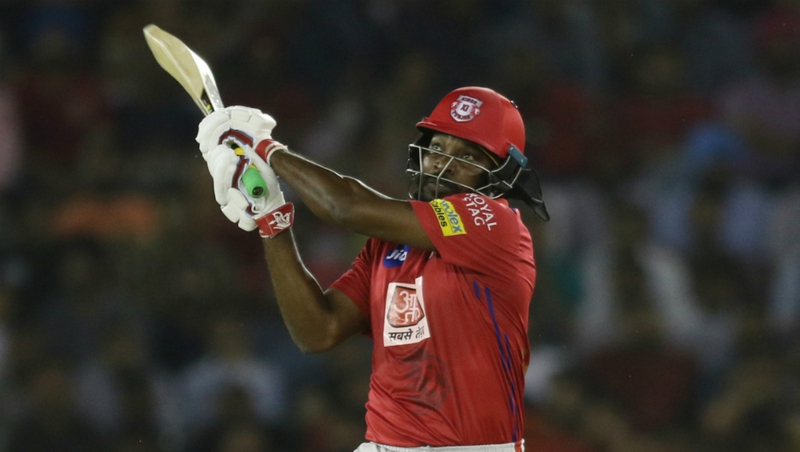 Chris Gayle played a scintillating 99-run inning in a losing cause against RCB a few days back; nonetheless, the Universal Boss has already scored three half-centuries this season. Will Jaipur experience ‘Gayle-storm’ tonight? 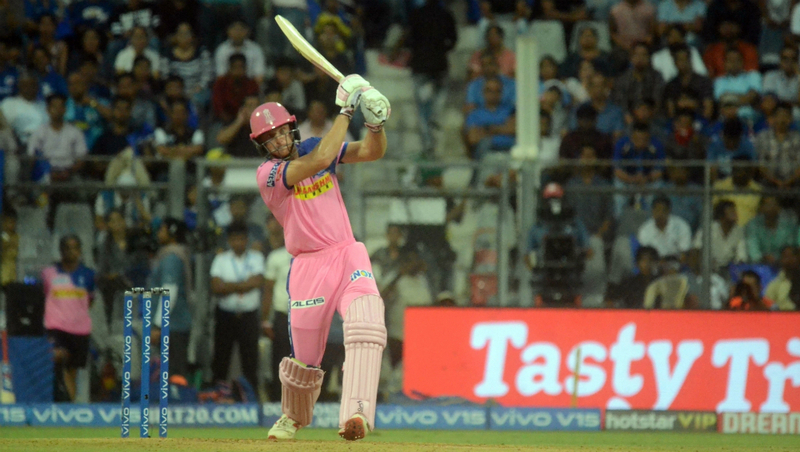 Rajasthan Royals would be looking up to Jos Buttler to score big and quick tonight, to increase their chances of winning tonight. After what happened against RR in the previous meet, a more-determined Buttler would be a force to reckon, once he takes crease tonight. With a match-winning knock of 89 runs against Mumbai Indians a few days back, an in-form Buttler would be eyeing to exact revenge from KXIP. The most reliable batsman in KXIP’s lineup, KL Rahul has emerged as the second most-run scorer in this IPL season. Rahul has amassed 335 runs in 8 matches he has played this season at an impressive average of 67. With an assured World Cup spot in the national coming as a big boost to Rahul ahead of this fixture, it will be exciting for the fans to see him when he is on a song! The leg-spinner has turned out to be the most lethal weapon in an otherwise dodgy RR bowling lineup. 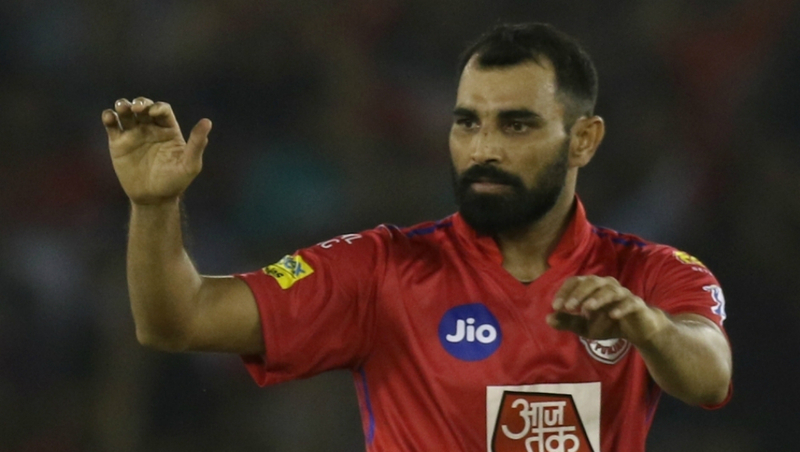 Shreyas Gopal main objective tonight would be to tame down the dashing KXIP’s duo of Gayle and Rahul. Gopal has had a decent run this tournament where he’s taken 8 wickets from 7 matches, at an impressive strike rate of 6.41. RR would need Gopal to deliver big tonight, but how he does is will be worth a watch. The fast bowler has picked up the most wickets for his team in this IPL season, ahead of skipper R Ashwin. In the 8 matches he has played in the season, Mohammed Shami has taken 10 wickets at a modest average of 28.10. The key factor this year which is seen in his bowling is that Shami has bowled consistently and has earned rewards for his hard work. It’ll be intriguing to see how he tackles RR’s batting lineup tonight. The hosts, Rajasthan Royals, are in the bottom half of the table currently, and would badly need a win in the match tonight. 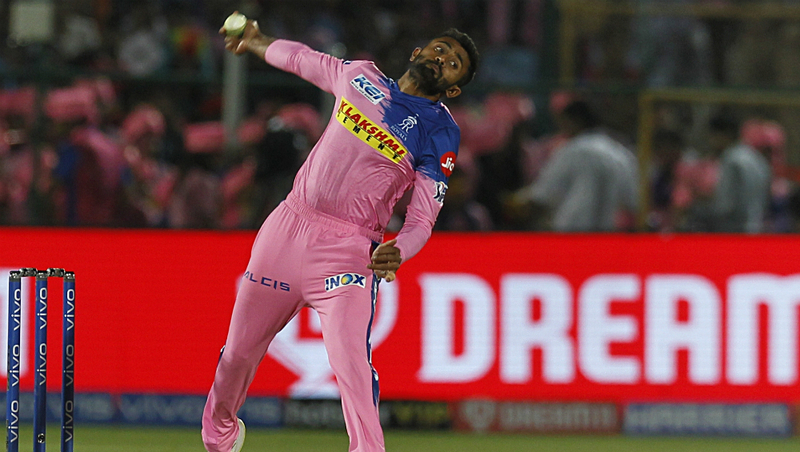 With 4 points from 7 matches this season, RR is on the 7th spot of the 2019 IPL Points Table. Kings XI Punjab vs Rajasthan Royals Live Cricket Score. On the other hand, Kings XI Punjab has won 4 matches and lost an equal number of matches out of the 8 matches played this season. With 8 points KXIP is on the 5th spot of the IPL Points Table 2019. The franchise would be eyeing to consolidate their position in the league’s standings, with a win tonight. Stay tuned to LatestLY for all the latest updates about Indian Premier League (IPL) 12.